Welcome to our kitchen! COOKS! 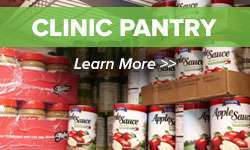 Cucina is a partnership between the Freestore Foodbank’s Cincinnati COOKS! 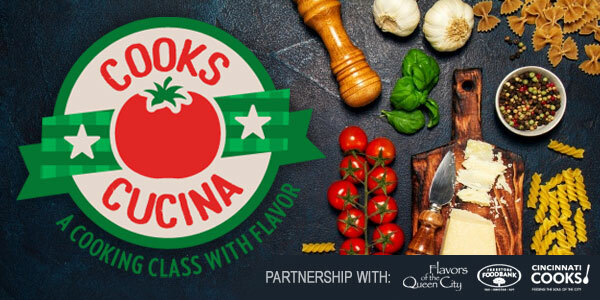 and Flavors of the Queen City offering a full array of hands-on cooking classes, cooking demonstrations, and celebrity chefs to educate and inspire our patrons. Our kitchen will bring together friends, families and corporate teams offering a chance for them to bond through cooking while making a meaningful and worthwhile contribution. Proceeds from COOKS! 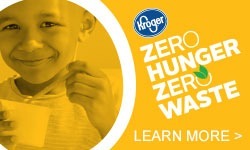 Cucina will benefit the Freestore Foodbank’s Cincinnati COOKS! Program. Classes taught by in-house chefs, as well as other respected experts in the culinary field will feature local farms and focus on important knife skill techniques and different cooking styles. 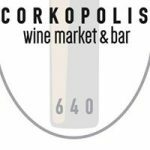 Steven King from Corkopolis will demonstrate wine pairings, using wine and food to create magical tastings. 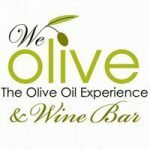 Olive oil expert, Leah Jones from We Olive, will give tastings of certain vinegars, olive oils, and other ingredients to make your cooking experience truly memorable. Classes will be three hours of fun, good food, delicious wine pairings (in select classes) and an opportunity to make new friends. The culinary classes will range in price from $69-$99 (including the purchase of food), and the price can vary depending on the chef’s menu selection. Your group needs a minimum of 8 and a maximum of 20 to schedule a class. Please join us and choose your culinary adventure! We would love to have you! And remember that we are also available for special events, cooking parties and corporate team-building. 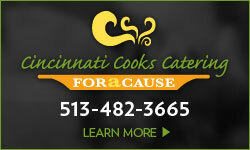 Any questions about our cooking classes, please call Mike Van Oflen at 513-703-0880. Mike is a man of many talents: professional accordion player, photographer, educator, and guidance counselor. When he retired in 2005 he decided to cultivate a new talent: cooking. 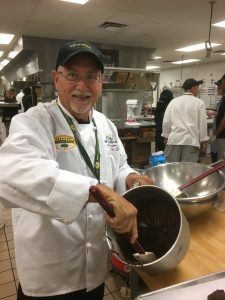 Mike enrolled in Cincinnati State’s culinary program, taking every class he could while also teaching in the humanities department. He graduated in 2009, but didn’t want to work in a restaurant or on weekends so he was unsure how he would apply his skills. That autumn, he was invited to attend a dinner a friend had won at Freestore Foodbank’s Taste of the NFL event. That’s where he learned about Cincinnati COOKS! and found a place where he could continue to practice his cooking skills while also making a difference in the lives of his students. Mike quickly became a volunteer and critical member of the COOKS! instructional staff, teaching baking and also preparatory classes for the ServSafe exam and soft skills. Mike is particularly concerned about the opportunities available to single mothers. Mike also financially supports the Freestore Foodbank’s programs because he wants to ensure his neighbors in need, including women, get the skills they need to build a better life for themselves and their children. And, to ensure that his support continues well into the future, Mike has made the Freestore Foodbank a beneficiary in his estate plan.